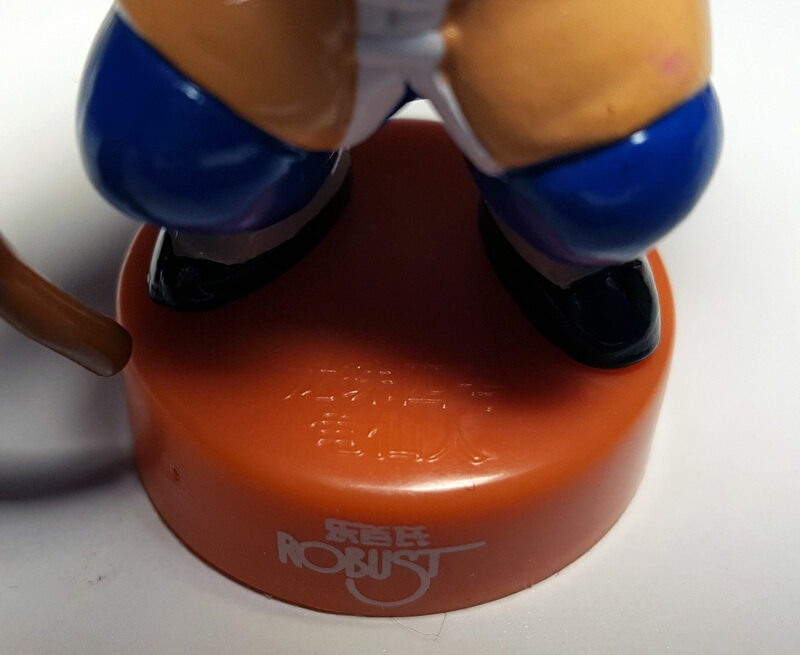 Robust is a word printed in white on the base of these 10 figures. 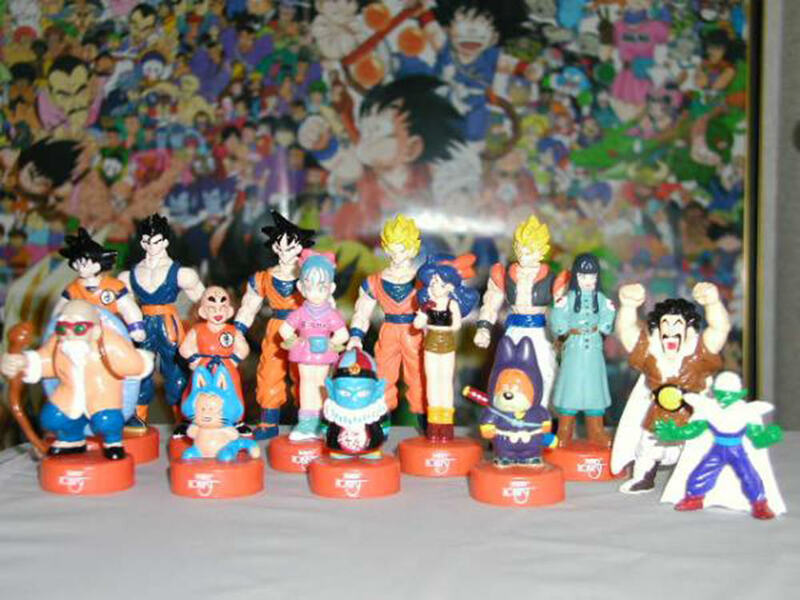 I don't know the origin of them (where they were sold, or exactly when), but most of these images are from me saving them in the year 2003, meaning these figures definitely came out at the beginning of 2003 or sometime much earlier. One of the images was saved in 2008. 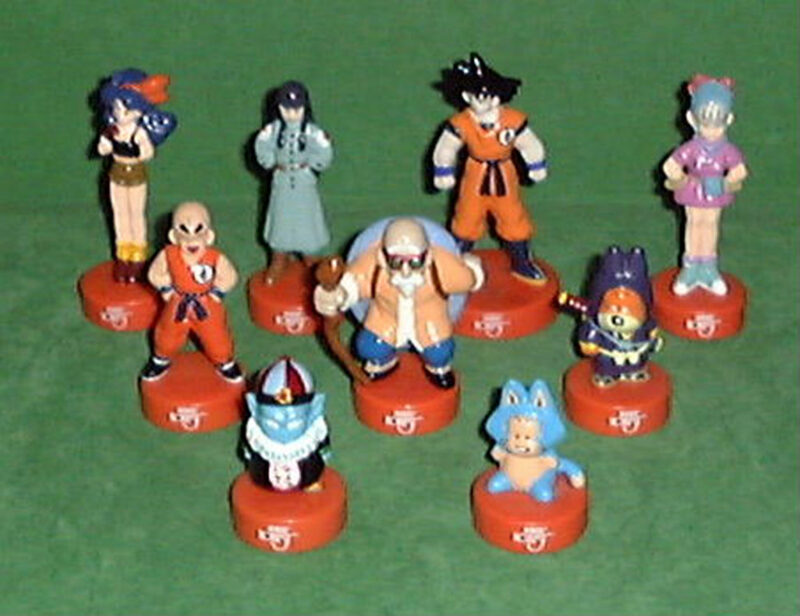 I haven't purposefully looked for these in many years, but they don't seem to pop up on ebay often anymore, that much is for sure. 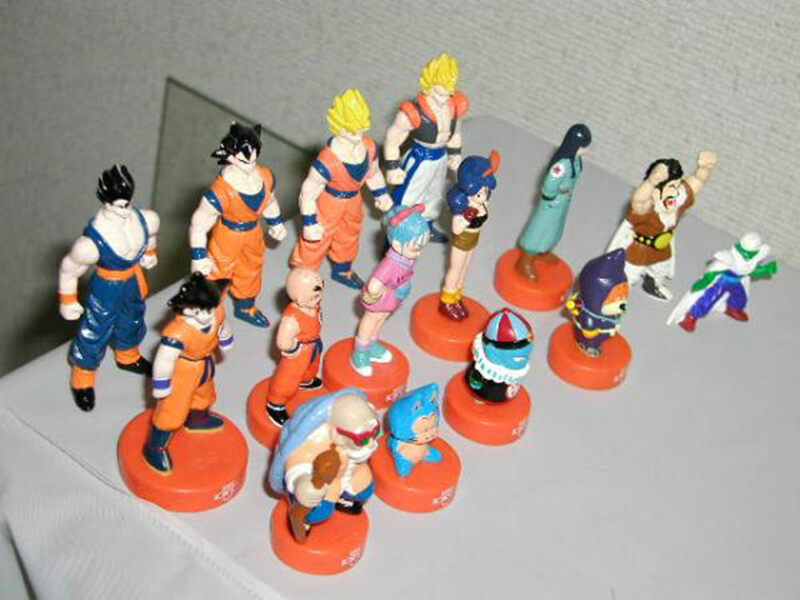 These figures are identical in sculpt and perhaps paint to the Ultra Figus figures released in Argentina and some other parts of Central and South America. 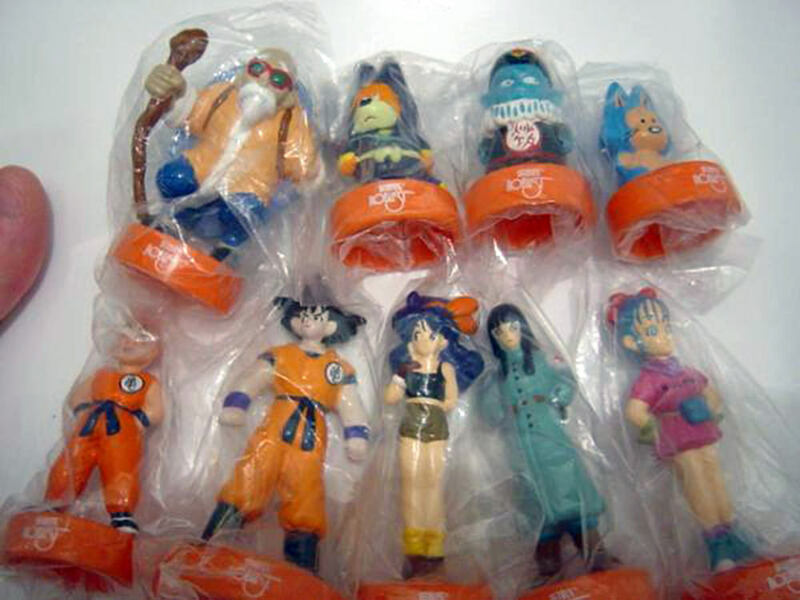 However, only 10 figures were released: Lunch, Krillin, Mai, Pilaf, Shuu, Master Roshi, Puar, Adult Goku, Bulma, and Ox king. 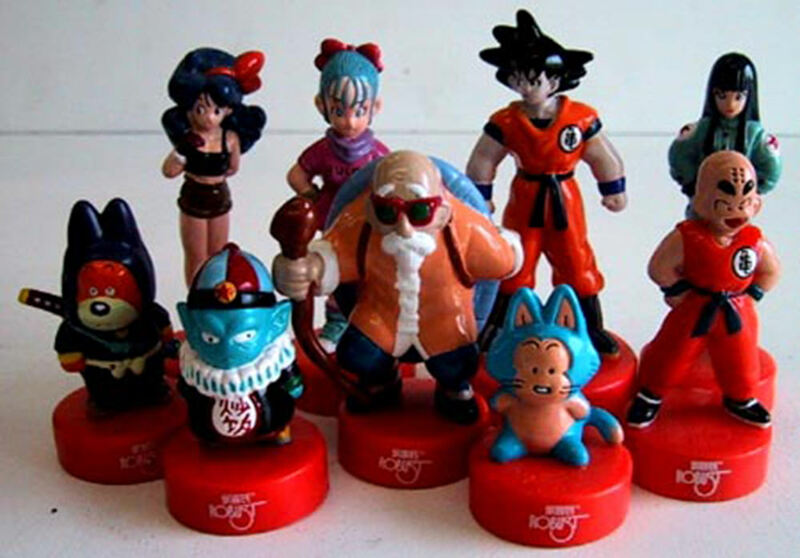 I've never seen more than 9 sold together though, so Ox King would only be in the set on ebay if Mai wasn't and vice-versa for some odd reason. 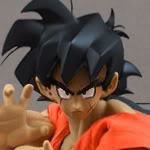 The figures are overall 2.5 to 3 inch scale. Bulma stands at 2 and 11/16 inches tall not including the base. 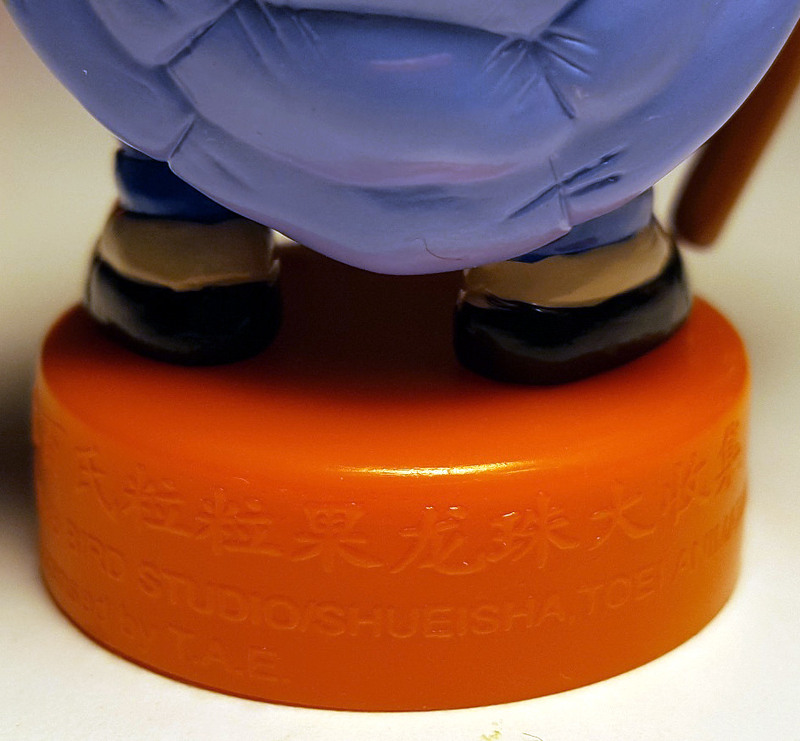 Master Roshi stands at 2 and 1/8 inches tall not including the base. 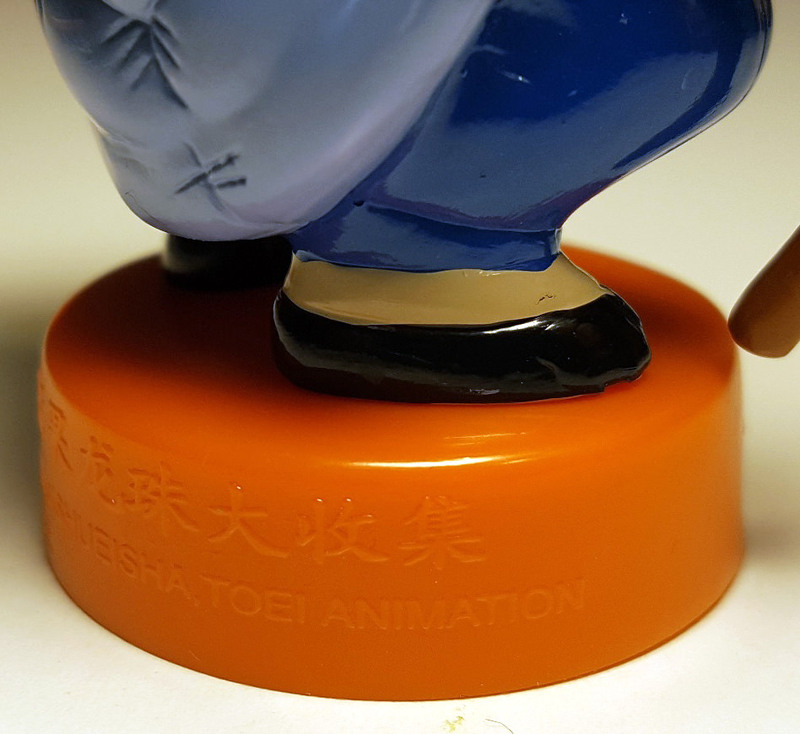 Bulma appears to be glued to the base, but Roshi appears to be basically riveted to the base via white plastic pegs. 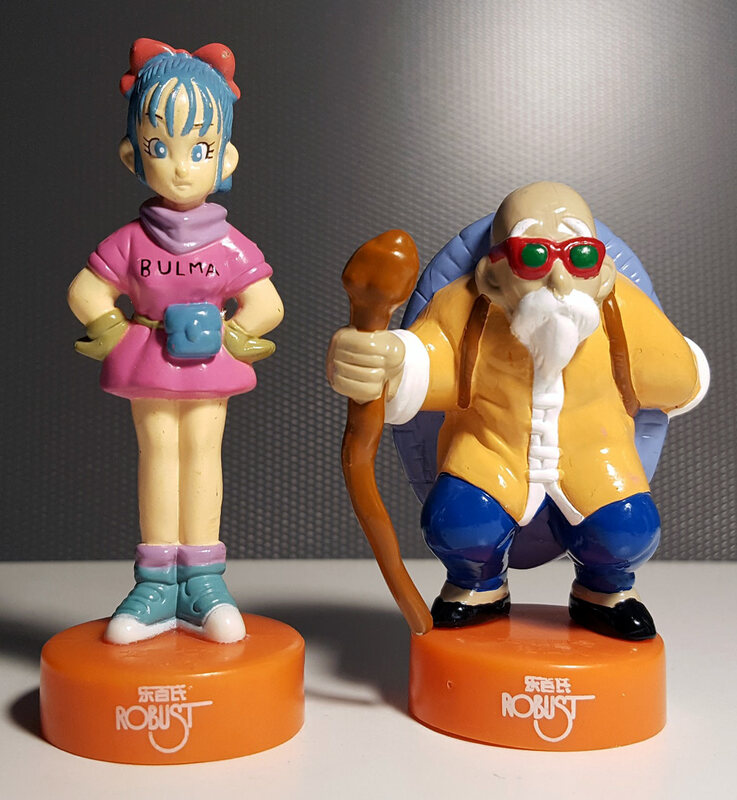 I only own Bulma and Master Roshi. 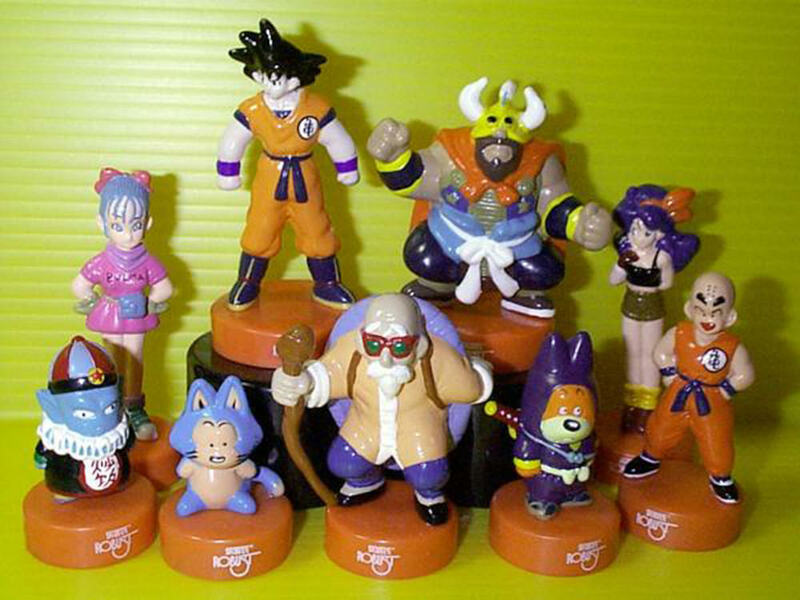 I don't recognize the language used on these figures. 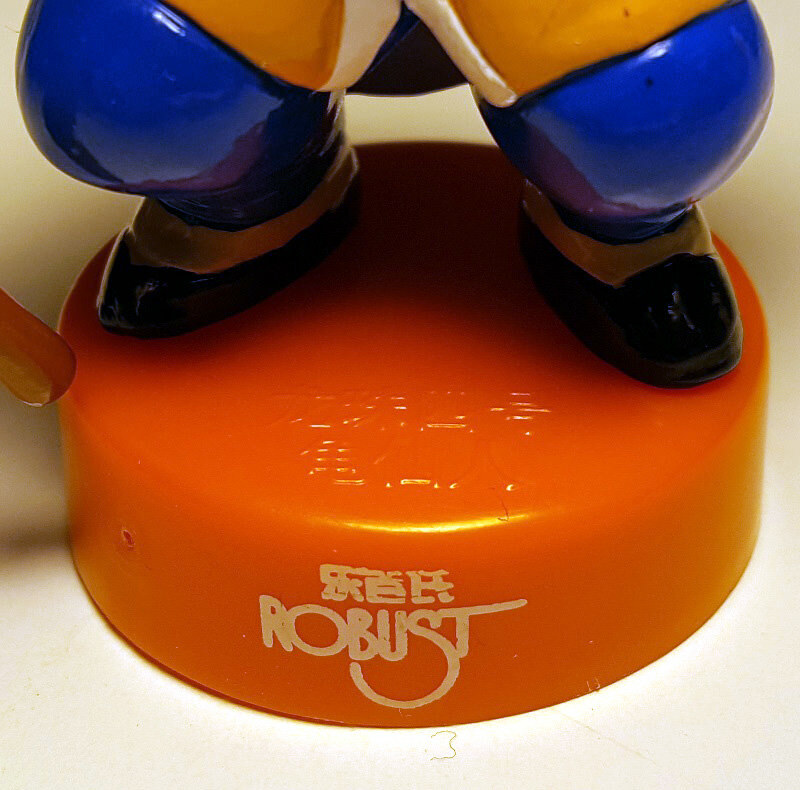 Above the word Robust in white on the front of the base appears three Kanji of some kind, and then on the top of the base in orange appears 6 more kanji. 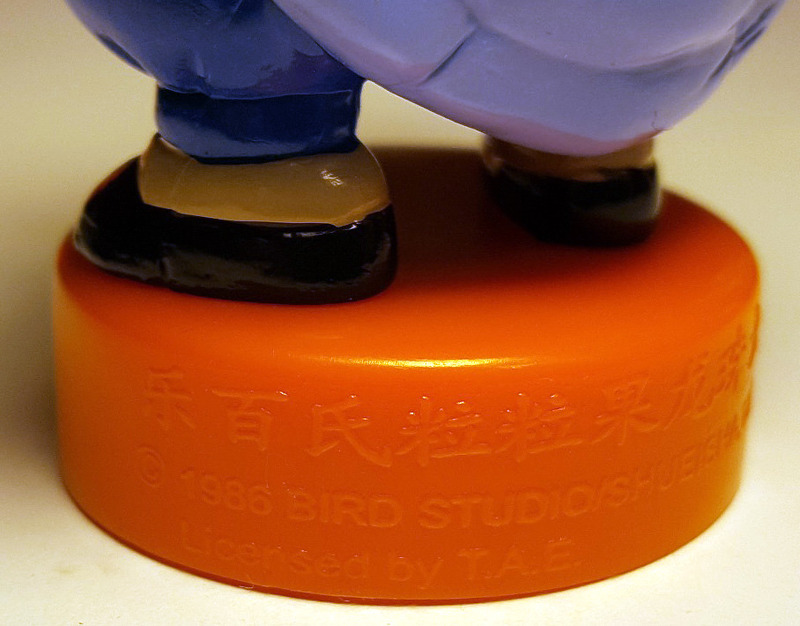 There are 11 more on the back of the base followed by (C) 1986 BIRD STUDIO/SHUEISHA, TOEI ANIMATION Licensed by T.A.E. Again, I don't recognize the letters as being Japanese (but they could be), so they may be Chinese, Korean, or something else. I'm unsure. 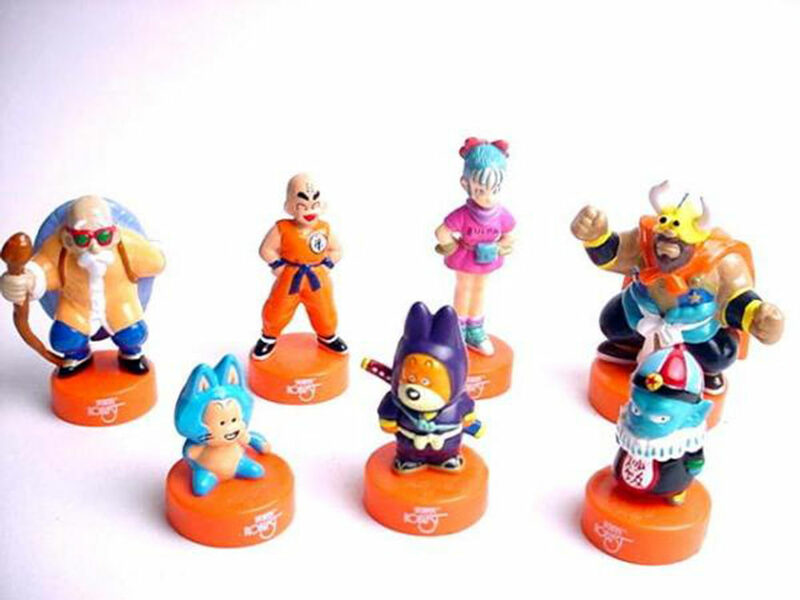 These are great figures. Credit to the original photographers... I don't know who took any of these. Also, I enlarged them, as they were almost all only 600 pixels wide originally. The pictures below have been taken by me. If you are able to read or identify the language on these, let me know. GREAT JOB ON THIS! I cant believe I never knew they existed! They've definitely gotten uncommon or rare. I kind of regret not buying one of the sets of 9 back in 2003, but they really don't scale with much of anything else I own I don't think. They might be close to HG scale, but they don't look like HG. 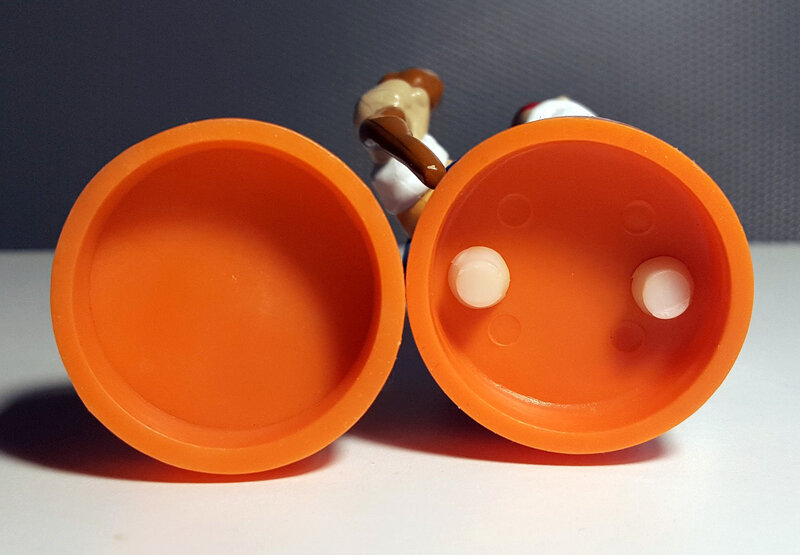 Oldphan has an incredible video with more information on Robust and Ultra Figus here! I had no idea the Robust figures were slightly larger than Ultra Figus!